BANGOR — Many families in the United States struggle to make ends meet. A 2017 survey by CareerBuilder found that 78 percent of workers are living paycheck-to-paycheck. 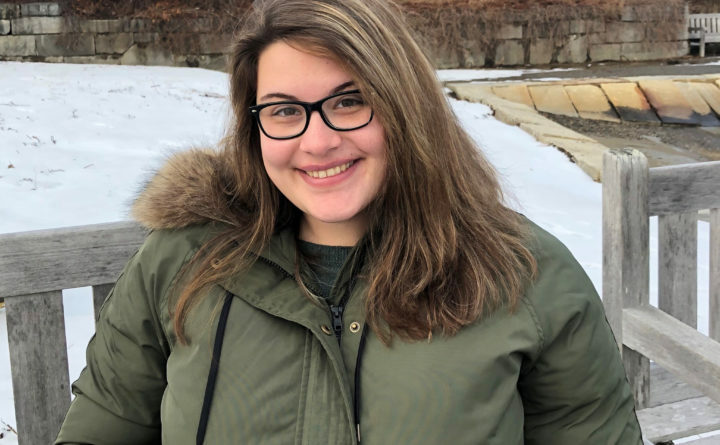 Despite the financial challenges, one Husson University student was able to find the resources necessary to pay for her undergraduate degree and get accepted into law school. Holte’s personal story shows that a person from a humble background can still find success through hard work and determination here in the United States. Her grandparents, on her mother’s side of the family, came to the United States from Germany and overstayed their visas. That made Holte’s mother an illegal alien from when she was 13 until she was 23 years old. At 23, she became a U.S. citizen like Holte’s dad, who was already a U.S. citizen. Holte’s mother had to drop out of high school her sophomore year and get a job to help support the family. When Holte was in high school, her mom went back and earned her GED. To pursue her passion, Holte applied to law schools. While she’s still waiting to hear back from some of her schools, she has already been accepted by four. Some of them are offering financial-aid packages that will pay for most or all of her tuition. Holte isn’t sure what kind of law she’ll pursue after law school. She’s currently involved in an internship with a family law firm. “Affordability is also important,” said Holte. According to a recent analysis of tuition and fees by “U.S. News & World Report,” Husson University is the least expensive private college in New England.